It may still officially be summertime, but for those of us who balance our writing lives with scholarship and/or teaching, it’s already time to hang up the vacation gear and dust off the books in preparation for a new academic year. 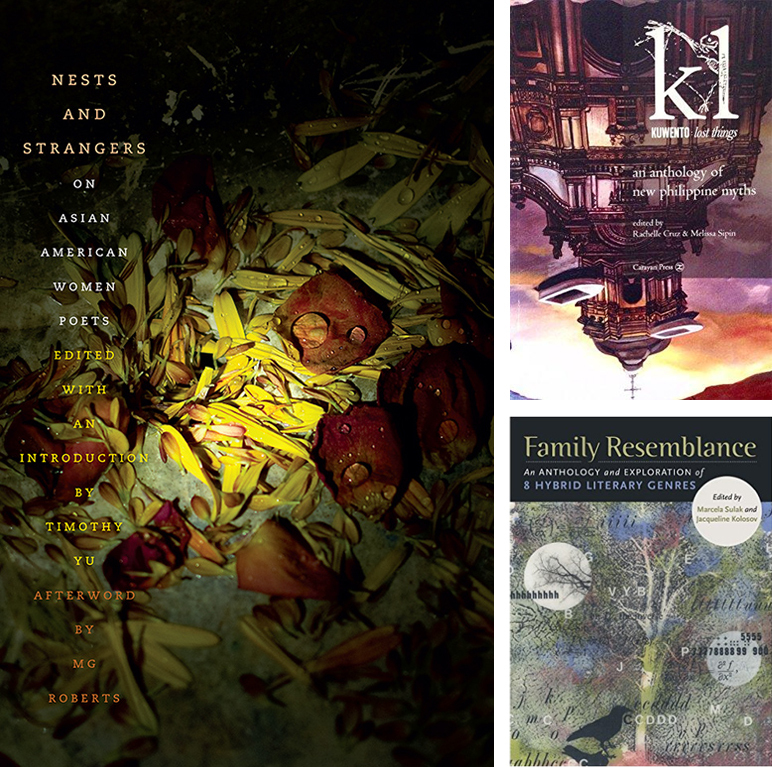 Thus far in this summer’s series of reading recommendations, we’ve brought you a couple of short critical reflections that have teased out thematic similarities between some recent collections by #ActualAsianPoets, but this month, in honor of back to school, we’re highlighting a three recent anthology titles (or to be technical, two anthologies and one edited collection of critical prose) that feature #ActualAsianPoets and that we think would be wonderful editions to the classroom this semester. Weaving together poetry, prose, and visual art, Kuwento, whose title means “story” in Tagalog, explores the notion of myth as told and retold by voices from the Philippine diaspora. Writes coeditor Melissa R. Sipin in a blog post on Kweli, “It is with this book we hope the invocation of the past is somehow answered, somehow quelled, somehow excavated, and thus reborn—reborn in our own terms, in our own myths, in our own kuwentos.” Containing selections by M. Evelina Galang, Oliver de la Paz, Sarah Gambito, Joseph Legaspi, Barbara Jane Reyes, Brian Ascalon Roley, Aimee Suzara, Eileen Tabios, Nick Carbó, and others, Kuwento appears to be both thoughtfully curated and expansive in its scope. We’d be eager to see it added to syllabuses for Asian American or Filipino Literature courses and workshops on the undergraduate or graduate levels. As with other groundbreaking anthologies such as How Do I Begin? (the seminal Hmong American anthology that we reviewed a few years ago) or Indivisible (the first anthology of South Asian American poetry, which we reviewed here and here), Kuwento could also likely work well in a community workshop context and perhaps even (in excerpted form) for younger students. In this slim but mighty volume, Timothy Yu brings together four critical essays by female Asian American literary scholars, each of which focuses on a different pioneering Asian American women poet. Exploring the life and work of Myung Mi Kim, Nellie Wong, Mei Mei Berssenbrugge, and Bhanu Kapil, Nests and Strangers draws together thoughts on both the biographies and aesthetic impulses of each poet in order to better understand the import (and impact) of each of their poetry. It would be a wonderful resource for an advanced undergraduate seminar, especially for one focused on feminist poetics or Asian American literature. Though not specifically an Asian American literature-focused anthology, Family Resemblance encompasses a diverse selection of literary voices, including a number of notable Asian American and Pacific Islander ones (e.g., Kazim Ali, Jenny Boully, Craig Santos Perez). The notion of hybridity is, of course, one that we explored in some depth in our fifth issue, and especially when contextualized with the metaphor of inheritance, as in this anthology, formal hybridity has unmistakable thematic resonances for scholars and students of ethnic studies and postcolonial studies. Personally recommended by our associate editor, Mia, Family Resemblance would fit well into almost any workshop setting (especially one exploring experimental or nontraditional forms) and would also be a wonderful means by which to diversify a syllabus and open doors for deeper consideration of issues of race, class, and gender in the university classroom. For those of you who are teachers, what diverse books are you including on your syllabuses this term, and what are some APIA-focused anthologies or critical collections you’ve taught that you’ve found to be especially successful? And if you’re a student, what are your dream APIA lit reading assignments for an inclusive workshop or literature course experience? We’d love to hear from you! Please tell us in the comments or chat with us about it on Twitter, Facebook, or Instagram (@LanternReview). Happy August to all of our readers, and to everyone who’s headed back to school soon, we wish you a smooth transition and a fulfilling academic year! This is Part 2 of a two-part series about Indivisible: An Anthology of Contemporary South Asian American Poetry. You can find Part 1 here. As the editors of Indivisible: An Anthology of South Asian American Poetry emphasize, there is no way to completely define or capture the South Asian American experience. Yet the politics of identity and language cannot be ignored. 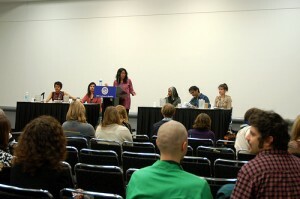 As Summi Kaipa, one of the editors, said, “Being South Asian and putting our voice out there is a very political act. What does it mean to do this anthology post-9/11 to get this chorus of voices out there to represent ourselves to defy the stereotypes that may be placed upon ourselves?” In the Introduction, the editors describe the ways in which language can be dangerous or misleading — the power of what is stated but also what is omitted.This suggests that what the contributers’ choose to write (or not write) has weight simply in their decision to do so. The politicalizations are not always intentional or obvious, but subtle insights about the evolving South Asian American identity can be found throughout the anthology. All three of Sasha Kamini Parmasad’s pieces (“Burning”, “Sugarcane Farmer”, “The Old Man”) reflect this understated social commentary via observation. She uses striking visual imagery to paint the scene, allowing the reader to see what she sees and to draw their own conclusions. In “Burning”, the heat is almost tangible; Parmasad’s repeated images beat down like the sun, as demonstrated by the opening lines, “The twelve o’clock sun sizzles / like onions and garlic the grandmother pitches / into a black iron pot rubbed with butter. / Trees are stingy with their shade. / Moth-winged morning flowers wither on stems.” But we also see the people under that sun — a young girl, her father, her grandmother — three generations all living in that heat. We see the grandmother cooking despite the heat, the father slaughtering a pig in the heat (“Drags it writhing / back to the slaughtery.— / Pig’s blood staining the macadam road forever), and the young girl witnessing it all. Parmasad is able to humanize the difficult and unchanging living conditions of the working class by showing how daily experiences continue despite the unbearable heat. We’re a few days late in getting this July update posted, but it’s officially full-swing summer for us at LR, and we’ve been pleased as punch (flabbergasted, more accurately) at the response to Issue 1 so far! Thank you so much to all of you who have helped to spread the word. This month, we’ve added two cities: Portland and San Antonio. As always, we would love your help in posting any updates or additions: simply leave us a comment or send us an email. Please note that we will be trying out a new policy: for this month, any updates to the calendar will be made on the 15th, so let us know of anything you want us to add before then. We’d also like to have your feedback on another proposed change: hitherto, our goal has been to post each month’s new ComCal on the 1st of the month (or, in cases in which the 1st falls over a weekend, the Monday immediately following). We’ve discovered that updating a few days after the first of the month makes it easier for us to compile a more detailed calendar (since most literary newsletters come out on the 1st of the month, and arts organizations tend to update their event calendars on the first or second). Should we start putting up our Community Calendar updates on, say—the 3rd or 4th of the month—or do you think we would be better off sticking to our old plan? Please leave us a comment to let us know what you think. We’ve had lots of responses from our Issue 1 contributors, and so we’ll be continuing to post the summer reading lists they’ve sent to us periodically throughout July. LR Staff Writer Supriya Misra will also be finishing up her two-part series about the Indivisible anthology, so look out for her post towards the end of the month. One of our goals for the next year is to grow our blog, which means that we will soon be looking to fill new positions on our team of staff writers! Please keep your eyes peeled: we’ll be putting up a post with details about how to apply very soon. Indivisible: An Anthology of Contemporary South Asian American Poetry—the first anthology solely devoted to South Asian American poetry—features 49 poets and 141 poems from the newly emerging to the long-established, tracing their origins to Bangladesh, India, Nepal, Pakistan and Sri Lanka and spanning generations, cultures, and faiths. Released in April, the anthology is already making its mark, having at one point reached the #1 bestseller spot on Amazon for Asian American poetry. The editors and contributors have been doing readings and signings across the country, including a launch in San Francisco and a panel at this year’s AWP conference. The editors were very intentional in the way they organized the collection, choosing not to categorize the contributors and pieces into specific genres or themes but instead to create a holistic experience in which the multiplicities of each new piece would lead into the next one. As Kaipa explained, the collection “capture[s] what the voice of South Asian identity is in the United States [along with] what the American experience is, what the experience is as a human being, you know, the universal experience.” And their vision is successful. What stands out are not common styles or recurring themes but the breadth and variation that exists amongst the poems, affirming that there is no single definition that quintessentializes the South Asian American experience. The editors posit that while popular South Asian American literature continues to center around the more traditional immigrant narrative, South Asian American poetry allows for explorations of what it means to be a South Asian American in a more nuanced way. At a basic level, the forms engaged by the poets whose work is included in the anthology range from the traditional to the experimental, and are rooted in traditions from around the world. 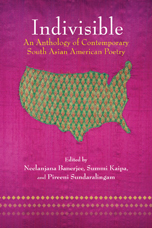 The anthology allows the reader to observe how the various styles that are being explored in American poetry are being reflected in South Asian writers. The only limitation, which the editors acknowledge, is that the anthology is not able to fully include the tremendous work being done in the spoken word and performance poetry realms. (the day is bright and cold). This is you poking a ground-wasps’ nest. While these examples speak to a universality of experience, no one example can be completely representative of the book’s project. At the outset, the editors had no idea where the project would lead but, as Kaipa put it, “the cacophony was important regardless of what it was.” Yet what makes the anthology significant is the deft work of the editors, who patiently and skillfully selected a wealth of experiences and styles that underlie the very fabric of South Asian America. In the end, their arrangement of the anthology allows the reader to see the unifying harmonies that exist. This anthology is a brave and important first step, gathering and weaving together the voices that are both defining and re-defining what it means to be South Asian American today. This is Part 1 of a two-part series about Indivisible. Part 2 will appear in mid-July.